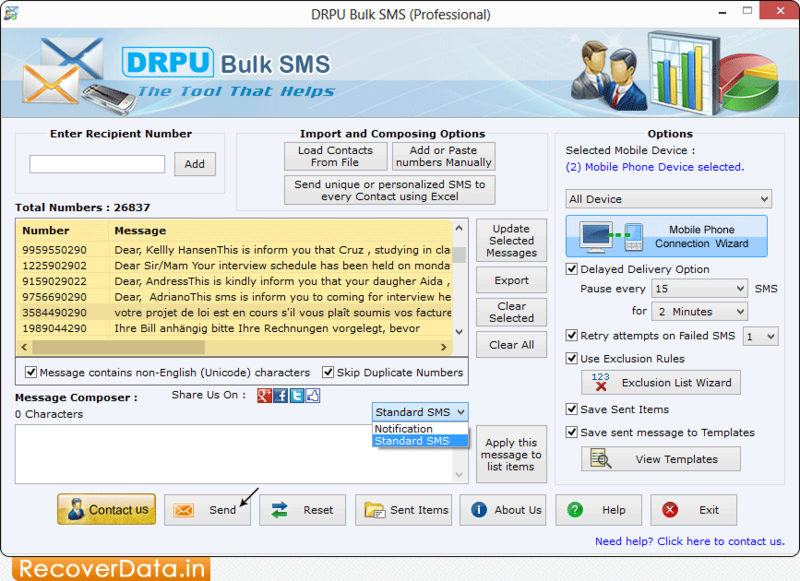 Select your mobile device type for sending bulk SMS. 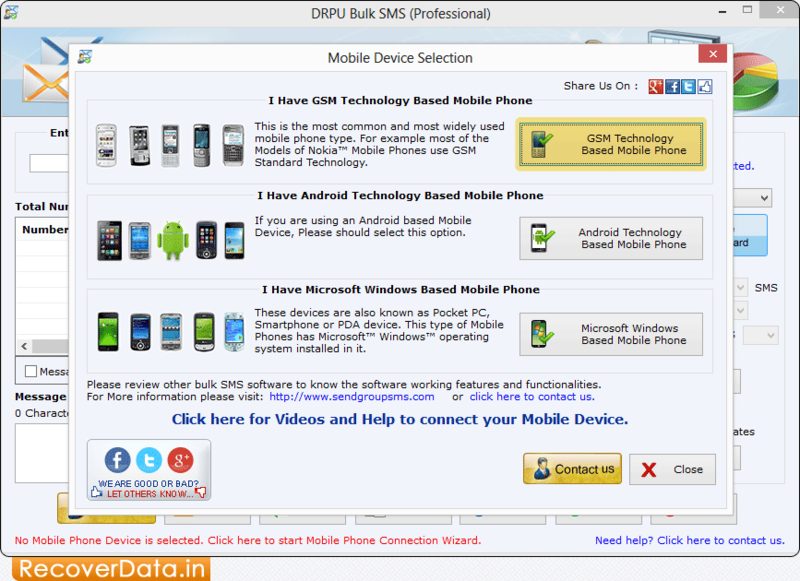 Here, we have selected 'GSM Technology Based Mobile Phone'. 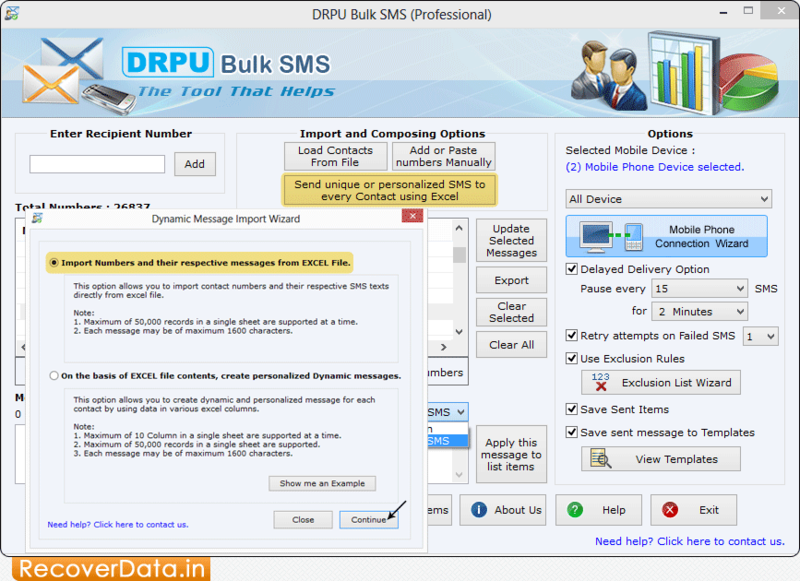 To send personalized SMS to every contact using excel file, click "Send unique or personalized SMS to every Contact using Excel" then choose any one option among "Import Numbers and their respective messages from Excel File" and "On the basis of Excel file contents, create personalized Dynamic messages". 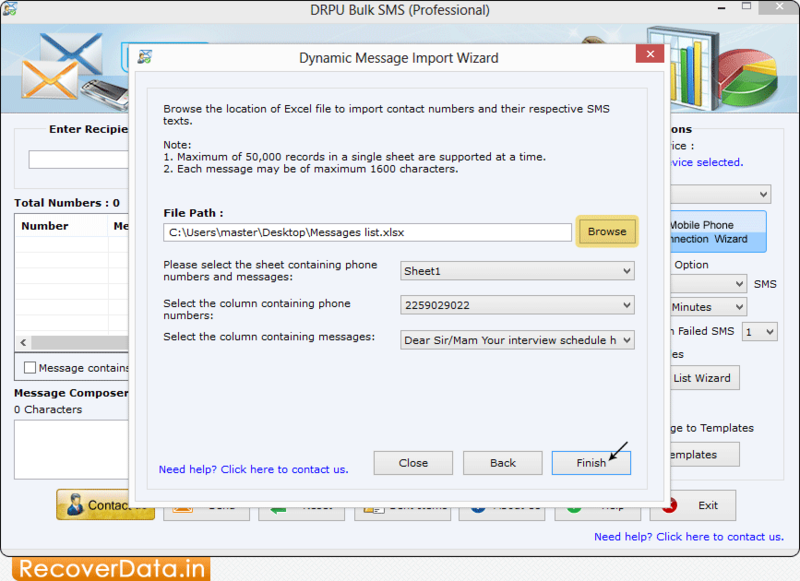 Browse the path of Excel file containing contact numbers and their respective messages. Select excel sheet, columns containing phone numbers and column containing messages then click 'Finish' button. Choose options from right panel and click 'Send' button to send messages. 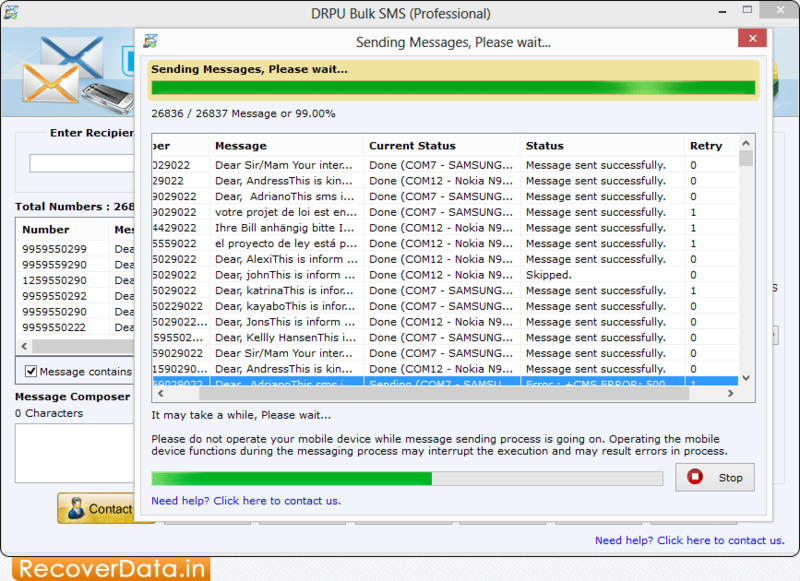 Here, you can see that SMS sending process is going on.